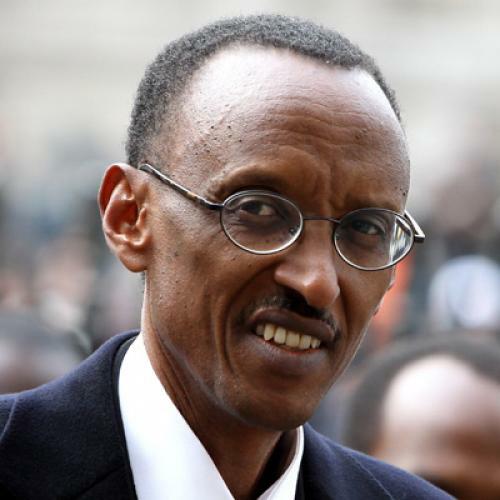 In truth, the Rwandan leader presides over nothing more than hollow democracy. He has attacked and exiled any and all viable political opponents. The local press, as well as international journalists, have been bludgeoned and harassed. The regime uses the Stalinist crime of “divisionism” as a pretext to silence and prosecute any critic who dares question its policies or the state sanctioned version of the 1994 conflict. Unsurprisingly, the intimidation extends to international institutions. President Clinton supported the effort to create an international war crimes tribunal to mete out justice for perpetrators and victims alike. The U.N. court was tasked to investigate the behavior of both sides in the 1994 conflict, operating from a neutral perch in Tanzania. Prosecutors decided first to take on the crimes of the prior Hutu government and militia, since the scale of its violence was larger and the cooperation of Kigali was necessary to obtain witnesses from Rwanda. A decade later, with numerous convictions under its belt and dozens of Hutu defendants still on trial, the U.N. tribunal turned to smaller-scale allegations against the Tutsi invasion force, Kagame’s Rwandan Patriotic Front—including alleged massacres of civilians in the northeast and northwest of the country, as well as attacks on mostly Hutu refugee camps. At this point, the Bush administration decided, unwisely, to pull the plug—repudiating the Hague prosecutor who planned to bring the cases, and insisting that the RPF cases could be entrusted to Kagame’s national courts as part of a “completion strategy.” Needless to say, that was the last of the investigations. Nor has there been any penalty for Kagame's destructive expedition into the Eastern Congo. The cross-border intervention gave the regime access to minerals ripe for extraction and valued in the hundreds of millions of dollars. Millions of civilians have been killed in the Eastern Congo conflict, and while Kagame was not the only culprit, his troops hardly quelled the violence. At the same time, Kagame’s domestic critics have met with unfortunate fates. An outspoken political rival was recently shot and wounded in South Africa. A prominent newspaper editor was gunned down at the end of June, and the deputy president of the Democratic Green party was decapitated in July. Public meetings of rival parties have been banned. Kagame felt audacious enough to jail and threaten a 10-20 year sentence against an American lawyer and law professor—who hails from former Supreme Court Chief Justice Warren Burger’s alma mater in Minnesota—when he went to Rwanda to consult with one of Kagame’s political rivals. But the record has lately improved. With this new moral realism, the Obama team ought to take a close and critical look at its erstwhile friend in Africa. He is not what he seems. Ruth Wedgwood is a visiting fellow at the Hoover Institution and a professor of international law at the Johns Hopkins School of Advanced International Studies.